This floral tapestry in modern style "Come Dance with Me" shows a pair of flowers in bloom. The flowers are intertwined to suggest romance and dance. The colorful background provides a delightful backdrop to this floral scene. 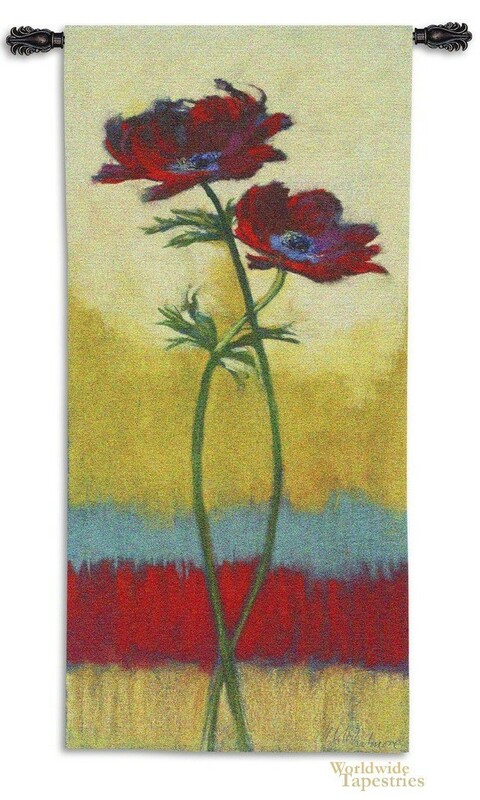 This contemporary flower tapestry "Come Dance with Me" is backed with a lining and has a tunnel for easy hanging. Note: tapestry rod and tassels, where pictured, are not included in the price. Dimensions: W 24" x H 67"